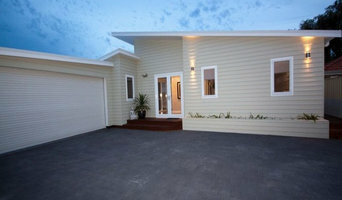 Higham Building Group is a family-owned business that has been providing custom-built homes in Tablelands since 2003. We design, build, maintain, repair and renovate residential and commercial establishments. We also offer reliable concreting, colour consulting and interior designing, as well as home extensions. 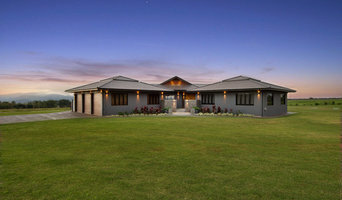 For more than 10 years of servicing Tablelands, we have developed expertise in the custom designing and custom building of homes, with much attention given to your requirements and budget. Our team of professional builders have more than 50 years of combined industry experience, and all guarantee superior workmanship. At Higham Building Group, we aim to continuously deliver high-quality services and products. A trusted Atherton builder, we are determined to meet your requirements and expectations in every home we build or in any project that we do. For award-winning custom-built homes in Tablelands, get in touch with us today and let us take care of your next building project. Higham Building Group is a member of Master Builders. Letters 2 U offers unique larger than life designs which you couldn’t imagine. We can help you in making that into reality. We provide people-size love arches, numbers, backdrops and symbols for you. We have an 8 ft. Love Heart Arch a perfect backdrop for the end of your aisle or can be used at your reception as a stand alone photo booth for all your guests. Our most popular and largest letter design option has the size of 6 ft. Love Arch and we also have a 4ft Love Arch. You can reach us at 0448 261 182. Cairns Autotune has been in the market of automotive and mechanical works for more than 35 years now and with more than 50 years of combined mechanical experience, you can be sure that our team knows everything that each automotive requires. We do a lot of services like: Cooling System & Radiator Repair, Full Car Services, Brake Repair, Diagnostic & Repairs, AWD & 4WD Servicing, and Fleet Maintenance. Be a VIP now for as low as $9.95 a week and enjoy a range of services for your vehicle for 12 months. Call us today at 0740519336 for your enquiries. What Type of Carpenter Do I Need? The work of carpenters in Cairns, Queensland is wide and varied, so many choose to specialise in a particular line of work. Any qualified carpenter in Cairns, Queensland should be able to perform general carpentry work involving framing and the installation and repair of timber structures and fixtures, while other jobs may require a specialist. A framer or framework carpenter prepares and installs the framework of a building, and is often one of the first tradesman on site. A formwork carpenter then constructs a mould in which concrete can be poured and supported until the construction is completed. A finish carpenter, on the other hand, is someone you would hire to assist in the final stages of a construction or home renovation. These carpentry jobs include but are not limited to door and window fittings, the construction of stairs, and the installation of skirting boards, architraves, flooring, siding and decking. Scroll through this page to find carpenters and woodworkers in Cairns, Queensland. You can browse their latest projects, read reviews and see how other homeowners rate their work, and message them directly. Here are some related professionals and vendors to complement the work of carpenters: Building Supplies, Kitchen & Bathroom Designers, Building Project Managers, Landscape Contractors & Gardeners, Home Builders.